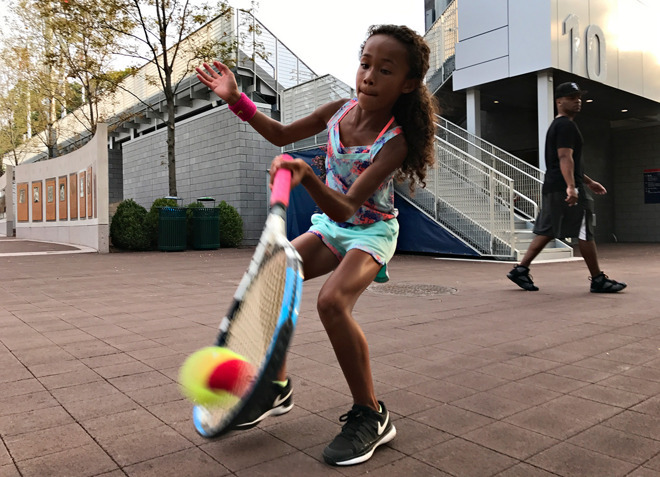 Apple and ESPN equipped photographer Landon Nordeman with an unreleased iPhone 7 Plus for this weekend's U.S. Open tennis tournament, resulting in a series of photos showcasing the new dual-lens system for the phone, set to launch on Friday. 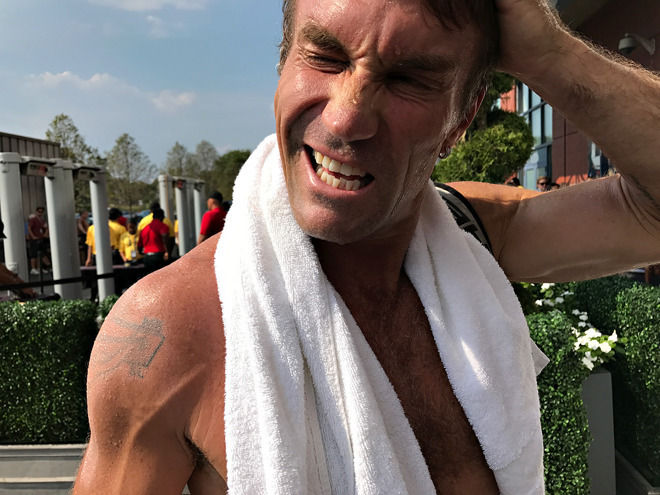 "Working with the new two-camera system on the iPhone 7 Plus encouraged Nordeman to react instinctively and quickly to the moments he discovered around the grounds while looking like another fan," ESPN wrote in a feature detailing Nordeman's shots. "The autofocus and exposure performed exceedingly well in various lighting conditions —so that even with one hand, he could get the shot. "Nordeman was able to execute his signature style —surprising moments from unique perspectives, using color and composition without distracting his subjects —in a fresh way by using the phone instead of a big camera lens and flash." While many of the photos featured bright outdoor lighting on a hot New York day, some of the shots featured stark contrasts with shadows cast as the day went on, showcasing the lower light performance of the iPhone 7 Plus. Other shots captured up close details, and shallow depth of field. 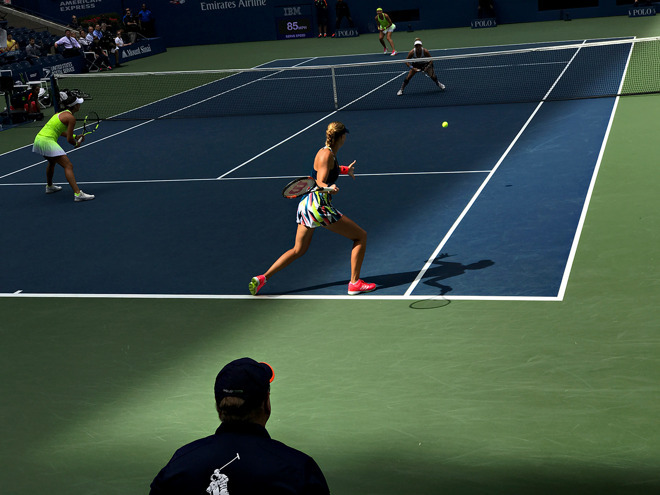 Nordeman's shots were captured from all over Aruthur Ashe Stadium in Queens, from on the court to the nosebleeds. Apple Chief Executive Tim Cook highlighted the photos via his Twitter account, and Nordeman himself responded with glowing praise for the iPhone 7 Plus: "I love it!" Weekend sporting events proved a natural fit for Apple to showcase the power of the iPhone 7 Plus camera ahead of this Friday's launch. The company also equipped Sports Illustrated photographers to shoot National Football League games on Sunday. In addition to dual 12-megapixel lenses, the iPhone 7 Plus also features a quad-LED True Tone flash, and a new Apple-designed high-speed image sensor with a wide color gamut. Paired with a new wide color display, the iPhone 7 series promises photographers a more faithful color reproduction than ever before.